Asia Pacific Superyachts (APS) will return to the Monaco Yacht Show to the same location as last year - Quai de l’Hirondelle Stand QH31, close to the Yacht Club de Monaco and the main entrance of Quai Louis II at the iconic Port Hercules of the Principality of Monaco. 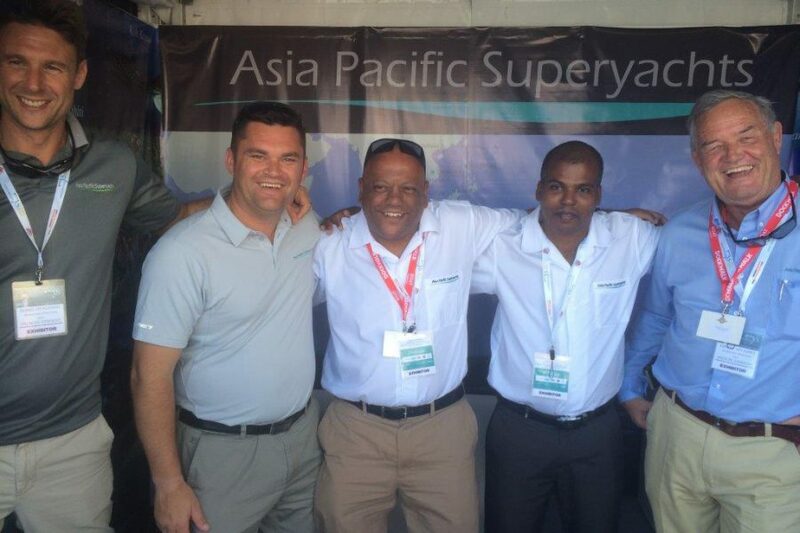 The APS team of knowledgeable agents will bring up to date news and are excited to meet again with superyacht owners and captains, management companies and other industry professionals. The APS team will represent the Asia and Pacific regions of Andaman Islands, Borneo, Cambodia, Fiji, Hong Kong, Indonesia, Koh Samui-Thailand, Langkawi-Malaysia, Maldives, Myanmar, New Zealand, Philippines, Phuket-Thailand, Singapore, Seychelles, Sri Lanka and Tahiti. Fitting in perfectly with the event’s world exhibits of leading luxury yachting and management companies, superyacht builders and designers, luxury manufacturers and key brokerage houses, the leading superyacht agency of Asia and the Pacific provides the shore support and fulfils all the needs of superyacht owners and captains from around the globe to APS regions. “Our Stand QH31 will provide a relaxed and casual setting where captains, owners and managers can informally approach and tap into our vast amount of information, insight and local knowledge of our regions", notes Gordon Fernandes, coordinating the APS exhibit this year and one of the founders of APS, also heading APS Phuket, Thailand and APS Myanmar. Whether it’s Heli-hopping to a remote tribal village or mountain waterfalls for a gourmet picnic, cave and volcanic exploration, visiting rain forests and sanctuaries and endless pure white sandy beaches or simply cruising the stunning seas of Asia and the Pacific to enjoy the majestic landscapes and tropical flora and fauna while all your paperwork is seamlessly handled… APS provides the finest and most experienced in Asia Pacific superyacht agency services. Providing a network of superyacht agencies, each region director works closely and tirelessly with other regions to give captains a seamless journey throughout Asia Pacific. Experienced directors representing most of the 17 APS regions in 15 Asia Pacific countries will be at APS Stand QH31 to talk about MYS visitors needs. Stop by for a cold drink and learn more about regions of interest while APS directors share new information of marinas, new attractions, government changes and other important news while discussing a custom designed itinerary to some of the world’s most beautiful cruising areas.